What Is Co-Insurance On My California Commercial Property Policy? Most California commercial property insurance contains a provision for co-insurance and in the event of a severe loss, it’s arguably the most important feature of your insurance policy. Co-insurance is a provision of commercial property insurance that imposes a penalty on the insured when, in the event of a loss, the insured failed to purchase the minimum amount of property coverage stipulated by the insurance company in the co-insurance provisions. Co-insurance provisions will show up on your policy as a percentage (usually 80%), but occasionally 90% or 100% of replacement cost. To understand how co-insurance works, its first important to understand why it exists. 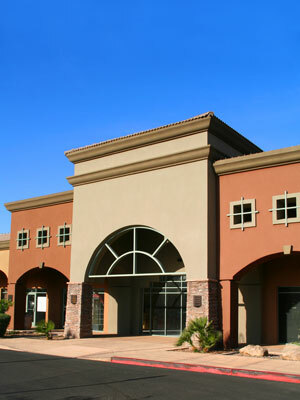 Most claims that occur to commercial property do not result in a complete loss. Savvy insurance purchasers have recognized this fact over time and have elected to gamble, and intentionally under-insure their property. When insured’s elect this choice on a systematic level, it raises the cost of insurance for individuals who elect to insure their property to its full replacement cost. In an effort to mediate this problem and give insured’s an incentive to carry a reasonable amount of property insurance relative to replacement costs, insurance companies have adopted co-insurance clauses. These clauses typically require an insured to carry at least a certain percentage (commonly 80%) of insurance relative to a property’s estimated replacement cost. If a loss is incurred and it’s found the insured failed to meet the minimum co-insurance requirements, the insured becomes a co-insurer and shares a specified percentage of the loss along with the insurance company. Let’s look at an example. Let’s say at the onset of coverage you choose to insure your commercial building for $400,000, and you think it’s replacement cost is about $500,000 (your policy stipulates an 80% co-insurance clause). A fire occurs and causes $200,000 of damage and during the investigation, the insurance company determines the replacement cost is actually $625,000 rather than your prior estimate of $500,000. The higher replacement cost causes the actual coverage of $400,000 to be 20% less than the 80% co-insurance requirements of $500,000 (80% of $625,000 = $500,000). In this situation, the insured would become a co-insurer and be responsible for 20% of the $200,000 loss ($40,000), while the insurance company would pay the remaining 80%, or $160,000 of the claim. While the actual payout of a potential claim will obviously be affected by whether a policy was written on an actual cash value basis (ACV) or a replacement cost basis (RC), the important factor to consider is making sure your building has an accurate replacement cost estimate that is regularly updated. In addition, your replacement cost estimate and the amount of insurance you choose to purchase should coincide with your policy’s co-insurance requirements. If you have not updated your commercial property insurance as of late, now would be a good time to review your coverages with your insurance advisor. You can also obtain commercial property reconstruction estimates from several third-party vendors including one of the more common, MSB.